You've heard and seen it everywhere. On your TV an advert for it pops up. On Twitter, Tumblr and Instagram there's all kinds of hashtags. You've seen it on the bus. And most of all; your friend is obsessed. And you're thinking: 'Not another Hunger Games'. You mustn't be a reader. "Divergent" is a series of three books (the second and third being named "Insurgent" and "Allegiant")written by author Veronica Roth. It is based on a dystopian world in future Chicago, after a war, where society is split into five factions based on virtues as seen above. When a citizen is sixteen they must choose which faction they know they belong to, and may leave the faction they have grown up in with their family. 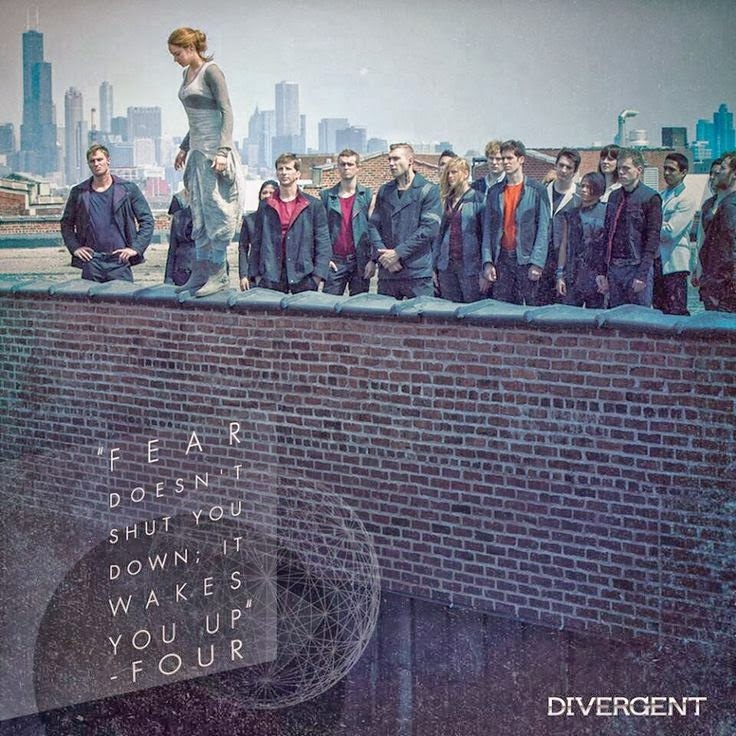 Beatrice Prior is from Abnegation and now awaits her big decision. 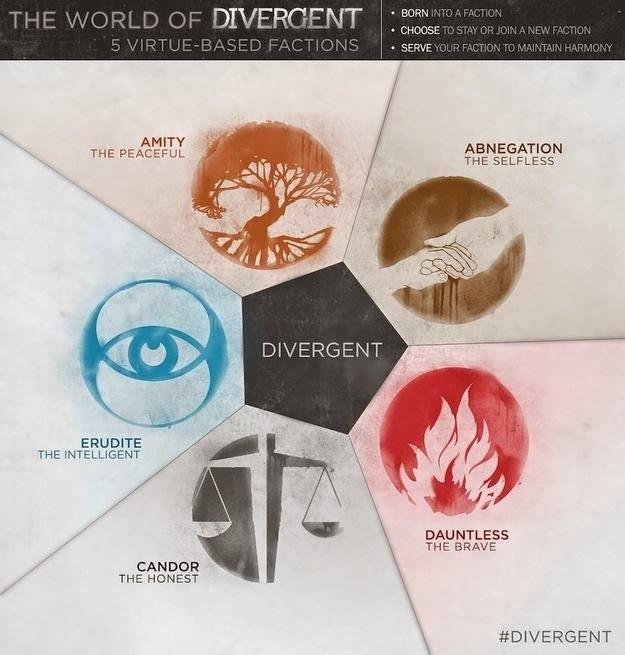 When she takes the test, she discovers she is Divergent, and there is a threat to all of her kind. And that's a teeny tiny eighth of the story, in my opinion. An adventure full of knives, trains and looooove, "Divergent", the first book, was very recently released as a huge franchise film starring Shailene Woodley as 'Tris' Prior. Others include Theo James as Four (:D), Kate Winslet as Jeanine Matthews and Ansel Elgort as Caleb. Firstly, but most importantly, the book is INCREDIBLE. I read it in on my Kindle, and it honestly wasn't what I expected at all. I don't mean the storyline; that was easy to catch on to. It was Veronica's writing style and characterisation skill that mesmerised me. She captured Tris' persona exceptionally and made me love Four (it's impossible not to). And also the world of "Divergent" felt very realistic to me, as I imagined myself in Tris' situation; would I pick Abengation? Dauntless? Candor? Erudite? Amity?". The story teaches us that it is our power to decide where we belong in life. The movie, on the other hand, I saw with two friends on Sunday; I just couldn't go though it's opening weekend in Ireland without seeing the film. Normally, as a reader, you have high expectations for an adaptation, and without doubt I did. Although I always think I am, I'm never prepared for scenes to be cut or characters to be abandoned (URIAH). All that aside, I loved it (x10, comment below if you see what I did there). But it's not NEAR half as good as the novel. And that's what everyone says. But it was still a remarkably, breath-taking motion picture. I think it was very well cast and the set and special effects were impressive. 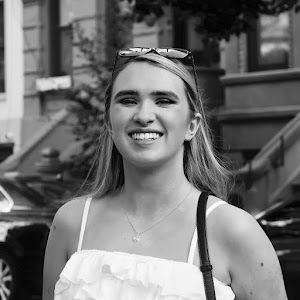 After the film, I felt like jumping (off a train, of course), running, throwing knives (at a target, hah, I'd fail), and finding out what my fear landscape would be. I did have these thoughts after the book, but in the movie, the action and speed of the scenes causes me to want to do what the characters are doing (unless it's something really bad). I wish I had the same kind of reaction from my imagination as I read. 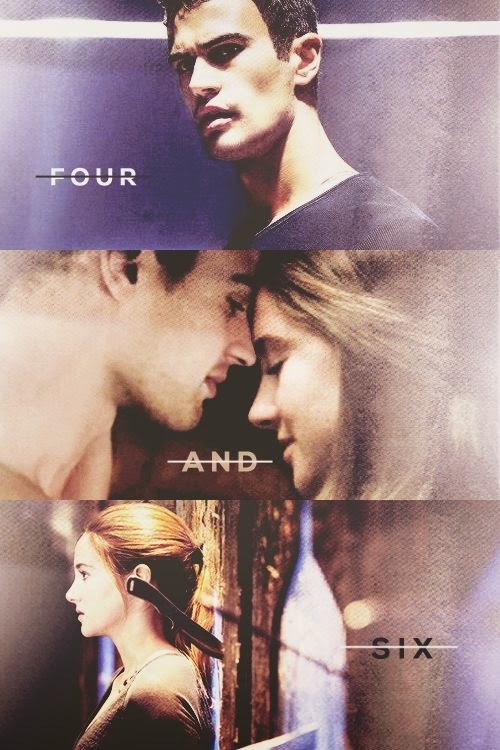 Also, THE CHEMISTRY BETWEEN FOUR AND TRIS!!! No other words needed. I can never think of flaws of a film or book as I'm writing, by the way. People do have certain opinions on these and that's obviously fine. My certain perspective on "Divergent" is what I believe in, not you, unless you agree. I am currently reading "Insurgent" in the series, and I hope to finish it and "Allegiant"
I have two weeks off school and a lot I wish to do (as I say all the time). So following that thought, expect TONS of posts, and I promise to post lots and lots. I hope you enjoyed my impressions on "Divergent". Leave your thoughts on the novel and film below!